A regenerative turbine pump is significantly different from a centrifugal pump in the way in which liquid moves through the impeller section, making the turbine pump a better performer in a number of industrial applications. A centrifugal impeller basically traps some liquid at the inlet and rapidly slings through the discharge port. The liquid velocity is increased by the impeller and manifests as outlet pressure. A key distinction between centrifugal and regenerative turbine pumps is that the liquid enters and exits the impeller only one time in a centrifugal pump. A regenerative turbine pump has an impeller with a larger number of smaller, specially shaped vanes. The shape imparts a circulatory movement of the liquid from the vanes to the casing, and back to the vanes. Each return to the vane section increases fluid velocity, resulting in increased pressure. As the impeller rotates, liquid enters, leaves, then re-enters the vane section many times. This process is called regeneration. The impact of this design is a pump that can deliver substantially greater pressure than a centrifugal pump with the same impeller diameter and rotational speed. A regenerative turbine pump is capable of pumping fluids with up to forty percent entrained gases without damage from cavitation or any performance loss. Fluid conditions with even low levels of entrained gases are generally not recommended for centrifugal pumps because of the degradation in performance, evidenced as fluctuating discharge pressure and excessive wear and vibration. Where cavitation is a concern, the regenerative turbine pump holds the advantage over centrifugal. Applications with low flow and high head requirements will also be better serviced by a regenerative turbine pump. For chemical applications, assuring compatibility between the casing, turbine, and seal materials is an important step. Performance curves for the various pump models can be used to match a pump and motor combination to the application. Share your fluid transfer requirements and challenges with experts, and leverage your own knowledge and experience with their product application expertise to develop an effective solution. Steam traps are an important part of a closed steam system, directing condensate on a path back to the boiler for reuse and venting non-condensing gases from the system. Of the several different types of steam traps utilized commercially, the thermostatic steam trap is but one. Thermostatic traps are often applied when the application can benefit from a utilization of some of the heat remaining in the condensate. This trap design will hold the condensate in place until it cools sufficiently below the saturation temperature of the steam. Capsules utilized in thermostatic steam traps contain the controlling elements of the device. 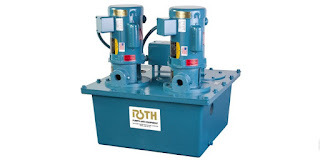 The parts are somewhat subject to wear through their movement, but more so from the corrosive effects of system fluid, impurities, and mechanical shock from water hammer. Tunstall Corporation specializes in the manufacture of replacement capsules for thermostatic steam traps that provide better service and extended warranty duration. Their sealed units are fabricated of stainless steel and welded to seal out deterioration due to exposure to steam and condensate. Drop in replacement capsules are available for conceivably every trap manufactured in the previous few decades. Share your steam system requirements and challenges with application specialists, leveraging your own knowledge and experience with their product application expertise to develop an effective solution. Liquid level can be inferred by accurately measuring the pressure produced by the height of a fluid column and knowing the density of the liquid measured. The measurement is comparative in nature, referencing some external pressure as a zero point. The zero point can be the surrounding atmospheric pressure, tank pressure, or the pressure exerted by another column of liquid contained elsewhere. There are uncountable application scenarios, each with its own set of special conditions. Proper instrument selection, installation and calibration are essential to generating reliable and accurate results. The King-Gage TeleSensor™ liquid level transmitters are specially designed to provide level measurements across a wide range of liquids using a force balance principle in a pneumatic sensor. Sensor output can be either a pneumatic signal or 4-20 mA. 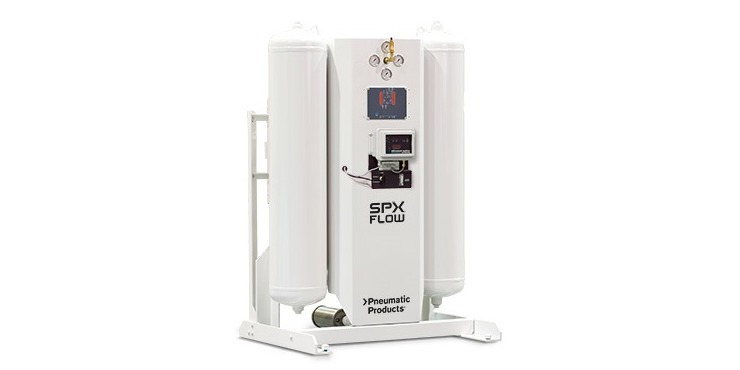 The pneumatic force balance arrangement provides immunity to long term drift, hysteresis and temperature changes. A diaphragm isolates the sensor from the process liquid. 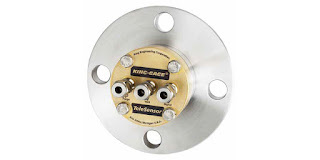 Mounting is compatible with 2", 3", or 4" class 150 ANSI flanges. Various options for diaphragm and flange materials are available to accommodate a range of process media. More detail is provided in the document included below, along with application examples. Contact product specialists to share your application challenges and get effective solutions. Closed steam systems produce condensate, a dense source of heat. By design, the delivery of heat in a steam system is almost entirely accomplished using the heat of vaporization, with any sensible heat transfer probably being more coincidental than intentional. Condensate will contain most of the sensible heat that was added to the feedwater to get it to the boiling temperature. Conserving that sensible heat through a reuse of the hot condensate is a huge energy saving step. The condensate must be collected and returned to the boiler in a effective manner. A condensate return station is a common means of moving condensate back to the boiler. 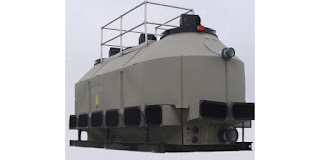 It will generally consist of a collection vessel for the liquid condensate and one or more pumps to provide the motive force to move the liquid along its return path. Reliability is a key factor for these systems, since it is conceivable that they may need to perform on a continuous basis for years. A duplex pump arrangement can provide some backup, as well as extra capacity for accommodating large inlet flow. This is an installation where investing in rugged hardware can pay dividends in reduced maintenance burden and trouble free performance for the long term. 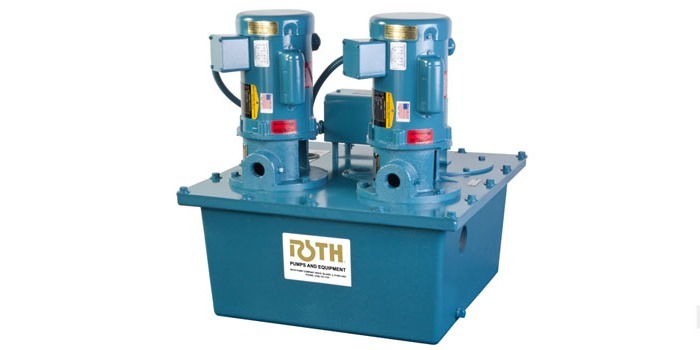 Roth Pump Company has been designing and manufacturing condensate return stations and other steam system related components for many years. Their experience and expertise are part of each and every system that leaves their factory. 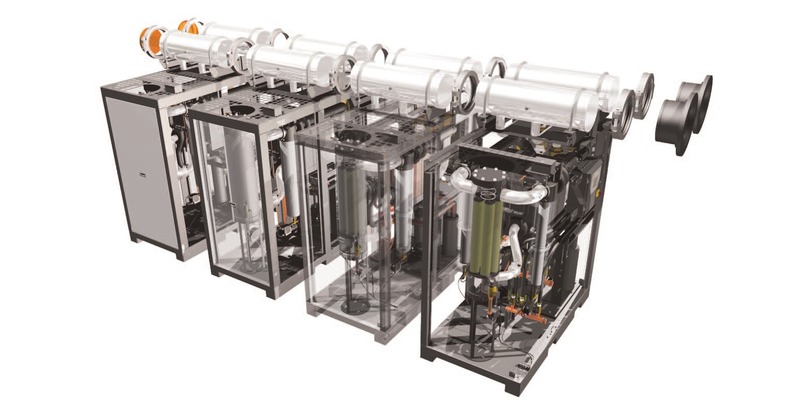 By incorporating low RPM motors, heavy duty pumps, and other features into a compact form factor, the company is able to offer a number of systems that meet a wide range of applications and deliver solid long term performance. Share your steam system and condensate return requirements and challenges with application experts, leveraging your own experience and knowledge with their product application expertise. Image courtesy Delta Cooling Towers, Inc.
Evaporative cooling towers enable many buildings across the globe to enjoy moderate interior temperatures. They serve as the final heat transfer step that moves heat from the building interior to the surrounding environment. In addition to their extensive application throughout large residential, commercial and industrial HVAC systems, their are numerous process cooling applications that employ evaporative cooling towers as an effective means of heat rejection. Since cooling tower cells cool water by evaporation, the wet bulb temperature is the critical design variable. An evaporative cooling tower can generally provide cooling water 5° - 7° higher above the current ambient wet bulb condition. That means that if the wet bulb temperature is 78°F, then the cooling tower will most likely provide cooling water between 83° - 85°F, no lower. The same tower cell, on a day when the wet bulb temperature is 68°F, is likely to provide 74° - 76°F cooling water. When selecting a cooling tower cell, the highest or the design wet bulb temperature your geographical area will encounter must be used. Highest wet bulb temperatures occur during the summer, when air temperatures and humidity is highest. For example, in Indianapolis, Indiana, the design wet bulb temperature is 78°F. Historically Indianapolis can expect less than one hour per year that the conditions exceed a 78°F wet bulb. Typically, 6,000 hours a year will have a wet bulb of 60°F or lower meaning that a cooling tower cell designed for a 78°F wet bulb will be able to make 65-67°F water for 6,000 hours per year nearly 70% of the year. Most cooling towers are capacity rated at a "standard" wet bulb temperature of 78°F. That means on the days when the wet bulb temperature is 78°F, the tower will produce its stated capacity. In other words, a tower rated to produce 135 tons of cooling will produce 135 tons of cooling at a 78°F wet bulb temperature. At a higher wet bulb temperature, the tower cell capacity to produce colder water decreases. Every location has a unique design (worst case) wet bulb temperature that is published by organizations such as ASHRAE and can be obtained easily. What does it mean when your cooling tower water temperature is higher than the normal 5-7°F above the current wet bulb temperature? Your cooling load may be larger than the rated capacity of your cooling tower. Due to scale build up on the tower heat exchange surfaces. Due to loss of air flow across the heat exchange surfaces. What can you do to improve your tower performance? Cooling tower performance is tied to ambient wet bulb conditions. Higher wet bulb temperatures occur in the summer when higher ambient and relative humidity occurs. Initial system design and proper system maintenance is critical to be certain your cooling tower is providing desired cooling. For more information, or to discuss your own heat transfer challenges, contact a product application specialist. Combine your own knowledge and experience with their application expertise to develop an effective solution. compressed air, making it suitable for respirators. There are many instances throughout science and industry where tasks must be performed by human operators in environments without breathable air. In many of those cases, it is necessary to provide a positively pressurized enclosed space around the operator's face to isolate the breathing passages from potentially harmful vapors, dust, or pathogens in the work area. Applications in the petrochemical industry, as well as asbestos abatement, paint and coatings, tank cleaning and more have specific jurisdictional requirements for the provision of breathing apparatus for worker protection. A compressed air source is processed as it passes through a purifier which imposes a six stage filtration process on the compressed air inlet prior to supplying the breathable air to safety hoods or masks. Removal of solid and liquid particles or droplets greater than 1.0 micron. Oil and liquid aerosol removal down to 0.1 micron. Analyzing and monitoring the outlet air quality from the purifier unit is a good practice, to assure that target levels of oxygen, carbon monoxide, moisture, and carbon dioxide are maintained. OSHA and other jurisdictional bodies specify allowable levels for certain potentially harmful gases. The quality of the inlet air should be carefully assessed and protected during operation, since it is a primary determinant of the outlet air quality. Share your process requirements with a pneumatic system specialist, combining your own knowledge and experience with their product application expertise to develop an effective solution. 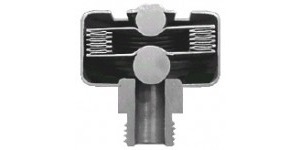 Image courtesy International Standard Valve, Inc. The design, construction, and function of a ball valve is generally well understood in the industrial fluid processing arena. Ball valves provide reliable quarter turn operation, compact form factor, and tight shutoff capability, making the ball valve a preferred choice for many applications. Some ball valves also provide shutoff of fluid flow in either direction. 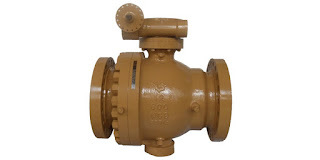 A primary valve trim design feature permits grouping of the many variants of industrial ball valves into two categories, distinguished solely by the way in which the ball is mounted in the body. 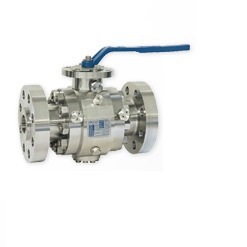 Floating ball valves use the seats and body to hold the ball in place within the fluid flow path, with the force of directional flow pushing the ball against the downstream seats to produce a tight shutoff seal. Many floating ball valves are capable of flow shutoff in either direction. The ball is rotated by a shaft connected at the top which extends through the pressure enclosure of the valve for connection to a handle or automated actuator. The floating nature of the ball limits the applicability of this design to smaller valve sizes and lower pressures. A some point, the fluid pressure exerted on the ball surface can exceed the ability of the seats to hold the ball effectively in place. Trunnion mount ball valves employ the stem shaft and, you guessed it, a trunnion to rigidly position the ball within the body. The shaft and trunnion, connected to the top and bottom of the ball, establish a vertical axis of rotation for the ball and prevent it from shifting in response to flow pressure. The trunnion is a pin that protrudes from the bottom side of the ball. It sits within a bearing shape, generally cylindrical, in the base of the body. Because of their structural design, trunnion mount ball valves are suitable for all pressure ranges and sizes.They are used by many manufacturers as a basis of design for their severe service ball valve offerings. A trunnion mount ball valve can also be advantageous for applications employing valve automation. Since the ball is not held in place by a tight fitting seal arrangement, operating torque tends to be lower for comparably sized trunnion mount valves, when compared to floating ball valves. On page 3 of the brochure included below, the exploded view of a trunnion ball valve shows the location of the trunnion assembly. Whatever your valve application challenge, share it with an industrial valve expert. Leverage your own process knowledge and experience with their product application expertise to develop an effective solution. The D81 Isolation Ring from Winters Instrument provides a solution for measuring system pressure in processes involving fluids with potential to clog or damage sensors and impulse lines. The isolation ring has a hollow elastomer that is located between two flanges. 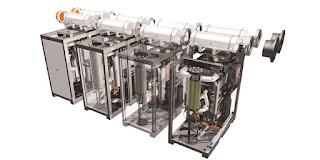 A fitting on the elastomer section allows for connection of a gauge or transmitter without disturbing the process fluid. Pressure in the piping system is mirrored by pressure within the hollow portion of the isolation ring, measured by the connected instrument. The instrument does not come in contact with the process fluid, nor are there any small diameter impulse lines to foul or clog. Applications in mining, water treatment, pulp and paper abound. Any challenging fluid is a good candidate for application consideration. 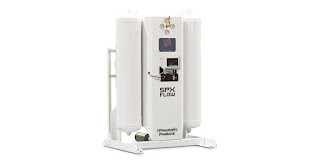 Models are available up to 48" line size, with wafer, flanged, or threaded connections. Share your fluid process measurement requirements with application specialists, combining your own knowledge and experience with their product application expertise to develop effective solutions. A ball valve is generally a well understood industrial valve design. Its simple quarter turn operation, bidirectional sealing, compact form factor, and tight shutoff capability make the ball valve a preferred choice for many applications. The many variants of industrial ball valves can be grouped into two categories, distinguished by a primary design feature, the mounting of the ball. The two designs are known as floating ball and trunnion mounted ball. Floating ball valves use the seats and body to hold the ball in place within the fluid flow path, with the force of directional flow pushing the ball against the downstream seats. The floating nature of the ball limits the applicability of this design to smaller valve sizes and pressure ranges. A some point, the fluid pressure exerted on the ball surface can exceed the ability of the seats to hold the trim effectively in place. Trunnion mount ball valves employ the stem shaft and, you guessed it, a trunnion to support the trim. The shaft and trunnion, connected to the top and bottom of the trim, establish a vertical axis of rotation for the ball and prevent it from shifting in response to flow pressure. A trunnion is a pin that protrudes from the bottom side of the ball. It sits within a bearing shape, generally cylindrical, in the base of the body. Whatever your valve application challenge, share it with an industrial valve expert. The combining of your process expertise and experience with their product application knowledge will yield an effective solution. 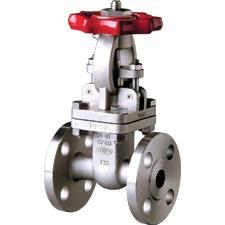 Stainless steel globe and gate valves are available in materials including CF8M, CF3M, and CN7M (Alloy 20) and in broad pressure classes including Class 150, Class 300, Class 600, and 200 CWP. Stainless steel valves are required in many applications found in pulp and paper, mining, chemical processing, food processing, waste water, and fertilizer processing. Care should be taken to select the most suitable valves for your service(s). Exact specification of each valve should be made to avoid possible ambiguity. When requesting quotations and/or ordering the product a fully adequate description should be made. Nominal size of the pipeline into which the valve will be placed must be determined.